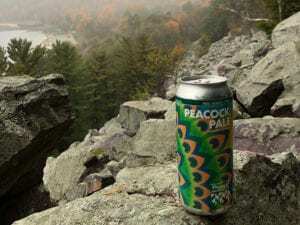 When the heat and humidity drain from the air and Jack Frost begins his annual dance on fall’s colorful leaves, we can’t help but turn our attention to hearty, hoppy, quaffable brews like Prairie Street Brewing Co Peacock Pale Ale, Rocktown Brown and our doubly delicious High Hard One, now available in cans! A proudly midwestern pale Ale, Peacock Pale’s flavor profile is balanced and citrusy. It’s color is a hypnotic, translucent gold; stare into it long enough and you can almost imagine Jonathan Peacock standing on the other side of the bar, smiling, saying just how good Peacock Pale really is with its malty, toasty caramel flavors enhancing the citrus notes. We imagine he’d be proud to have this beauty named after him. Cheers to you, Mr Peacock. Hope you like your namesake! Rockford rocks in more ways than one. There’s not a Rockfordian who doesn’t know that our favorite sons, Cheap Trick, were inducted into the Rock n Roll Hall of Fame in 2016. 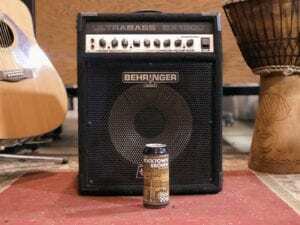 So, of course rock anthems were part of the inspiration for Rocktown Brown and its classic nut brown style. And, wait for the those bakers chocolate notes – they’re there in perfect harmony, enhancing the more forward roasty melody line. But, don’t be fooled by the dark-brown color; at 5.3% ABV, RTB is significantly lighter-tasting than it looks – and deeply quaffable. You like hockey? We like hockey! So, in honor of the 20th anniversary of our beloved American Hockey League Rockford IceHogs, we brewed an especially punchy (get it?) double IPA featuring pounds of citra hops entangled in a net of piney, caramel flavors that give the High Hard One a level of complexity not often seen in such a heavyweight 7.5% ABV beer. 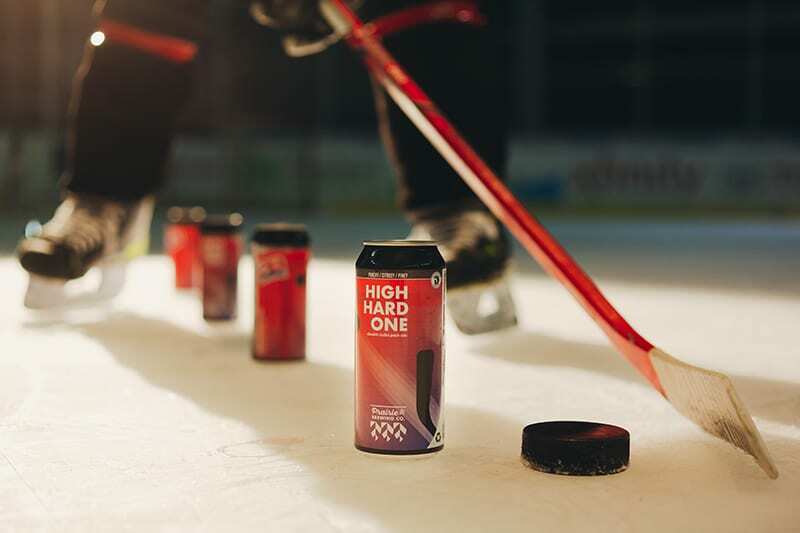 You may want to wear your mouthguard when enjoying the High Hard One. And, check out our celebratory commercial below to put you in the mood. Where can you find these colorful fall flavors? Right here at Prairie Street Brewing Co and Owly Oop Sports Pub (inside the UW Health Sports Factory), as well as: BMO Harris Bank Center; Woodman’s; Valli Produce; Artale Wine Co; Cork, Keg and Spirits; Everett’s Wine, Spirits & Beer; Schnuck’s and other local retailers of fine beverages.